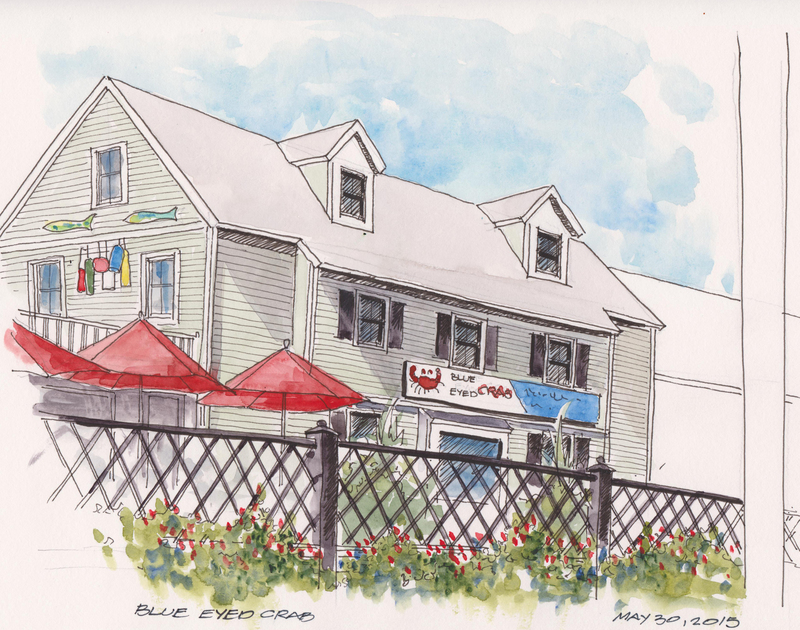 What a great way to end May and bring in summer than with a sketch of our favorite restaurant, the Blue Eyed Crab in Plymouth, Massachusetts. Such a wonderful restaurant with amazing seafood, great location, wonderful staff and a Fantastic Chef/Owner, Jim Casey in the Kitchen. I was able to spend this morning at the “Crab” as they were filming a segment of Diners, Drive-ins and Dives for the Food network. We deserved recognition. Utrecht Watercolors, black Pitt line work in an Alpha Series Stillman and Birn Sketchbook.